What is Podcast Guy Media, LLC? We are a small podcast production company that assists people create podcasts. With our experience, we simplify the process and help you recapture your time. Our signature program provides a spectacular service for you, including audio editing, show notes, episodic graphics, assistance with content planning, guest booking, and bi-weekly strategy sessions. This enables to you to have the time to focus on promoting the podcast, interacting with your audience, and growing your business. Who is behind Podcast Guy Media, LLC? 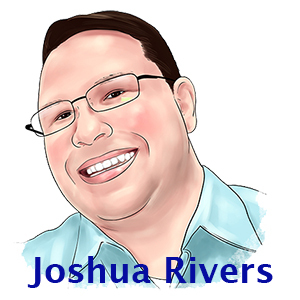 Joshua Rivers, the founder of PGM, has been a podcaster himself for five years. He is also an avid podcast listener with well over 5,000 hours of listening since 2012. While he hasn’t done everything, this experience enables him to help you with many aspects of your podcast. Joshua started as a podcast editor in February 2015 with one client. Slowly adding clients, mostly through referrals, he officially formed Podcast Guy Media, LLC, in January 2016. Until 2017, he did everything in the business alone. He then added an audio editor. And then another audio editor. He also outsources the production of show notes.